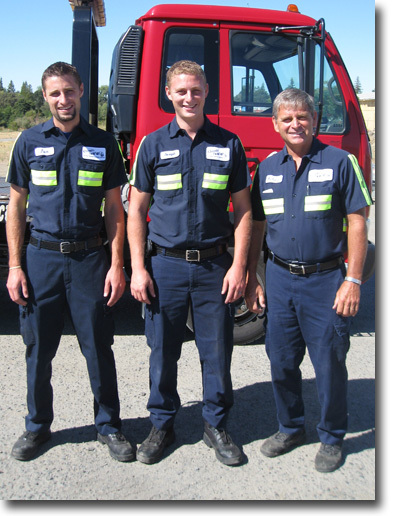 Classic Tow is a family owned and operated tow company that provides towing services to Roseville, Rocklin, Loomis, and Lincoln California. Classic Tow has been towing for the surrounding communities for over 30 years. Classic Tow offers towing services for all vehicles including motorcycles, motorhomes, and trucks that require medium duty towing. Our trained and skilled tow truck drivers provide damage free towing of all vehicles from classic cars to sportcars. We even have a big tow truck for the heavy duty towing of buses, RV’s, and Trucks and Trailers, which are no problem for our class A tow truck drivers in our medium and big rig tow trucks. In addition to our regular towing services, Classic Tow provides roadside service which includes lock-outs, jump starts, tire changes, fuel deliveries, winching and off road recoveries. At Classic Tow, we are committed to earning your business and your trust. Call us when you need fast, and affordable towing services. It is our business to serve you!